Far East Orchard has recently acquired four new properties in Shieldfield, which is an area of Newcastle upon Tyne, England for a total figure of £40.9 million (approximately S$83 million). According to Lui Chong Chee, Chief Executive and Managing Director of Far East Orchard (FEOrchard), this marks an expansion of the firm’s property development projects beyond Singapore into Europe. Not only that, it is furthermore an achievement which will diversify their portfolio and effectively extend their reach towards the student housing sector in UK. He noted that it is an achievement which will further their mark as a leading regional real estate player. Chee expressed the reason for this move – the current undersupply in UK student accommodation – which is basically an untapped market for international firms. Thus, FEOrchard plans to tap into this by providing high quality student housing, effectively widening their market share into Europe’s major property industries. In 2013, we’ve also seen a similar investment from another Singapore developer, Oxley Holdings Limited, when they bought over the Royal Wharf site in London from Dublin-based Irish company Ballymore Group, which will provide more than 4,000 residential units in the market. The four new freehold properties acquired are within the vicinity of notable schools and universities such as the Northumbria University, Newcastle University, Newcastle College, and Newcastle Business School. The properties includes two plot of land appropriated for student-housing, and development is expected to begin by 2018, and another undergoing project that is slated to be completed during the latter half of 2015. 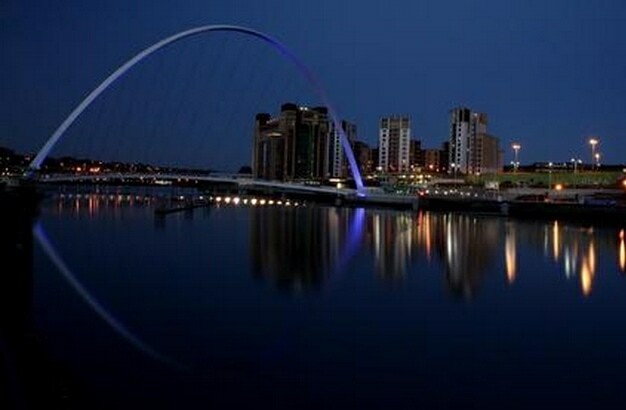 According to a report released last year on UK student housing by Savills, Newcastle upon Tyne, commonly known as Newcastle, is rated as a top class university city. It is also said to be the melting pot of many different aspects in Northeastern England, commercially, culturally, and educationally speaking. Therefore, this sector is rapidly becoming the next big investment opportunity in UK for real estate developments. A study by Jones Lang LaSalle (JLL), who provides services for real estate globally, reveals that there is a healthy market for property buyers with the intention of leasing out the purchases as an investment. JLL forecasts a sustainable growth over the years and overall establishment with annual rental growth rate coming in at 3-4% for properties in London, 2-3% cent for those in university towns, and 3-5% for the entire region. Another study by Real Capital Analytics revealed that, on average, the investment returns for student housing in the UK was at 5.8%. This is a tad bit higher than office renting which gave a yield of 5.1%. The purchase price of the properties acquired by FEOrchard was based on an independent valuation for each of the four properties, taking into consideration many different factors such as location, forecasted rental income, and recent sale transactions in the area. This purchase is not likely to cause any tangible impact on FEOrchard’s build-up net earnings or net tangible assets per share for this fiscal year which ends on December of 2015. In addition to this recent acquisition in UK, FEOrchard has also acquired four different hotels in both Germany and Denmark during the past year. These properties were purchased for a grand sum of €21 million (approximately S$31 million). On top of these, the group has also expanded by developing residential projects in a joint venture in Sydney, Australia.